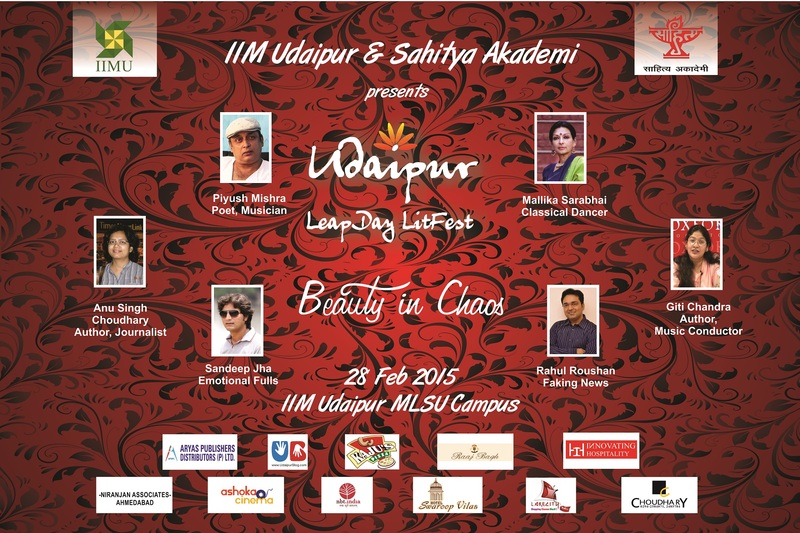 Second Edition of The Udaipur Leapday Lit Fest organized at IIM Udaipur! “Management is a science that should be taught in an artful manner”. In keeping with its unique style and commitment to din that admonition into the state of mind of the student managers of IIMU, Potpourri – The Literary Club of IIM Udaipur presented the second edition of The Udaipur Leapday Lit Fest on 28th February, 2014. Under the theme, “Odyssey of Expressions”, the event proved to be a spellbinding consuetude where some of the best minds from the world of arts and literature came together on a common platform to enrich the ever hungry literary souls of IIMU. The precursor to the event started a week prior with The Udaipur Amazing Race, a one of its kind event held to explore the city of Udaipur like never before. 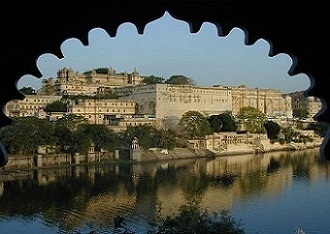 Udaipur, the City of Lakes and Palaces with its rich, diverse and beautiful locales provides a unique setting for this race with a back drop of a cultural milieu. The race is a treasure hunt competition and tests the students for their out of the box thinking, attitude, negotiation skills and a grasp on both the in campus and out campus locations to crack the clues. 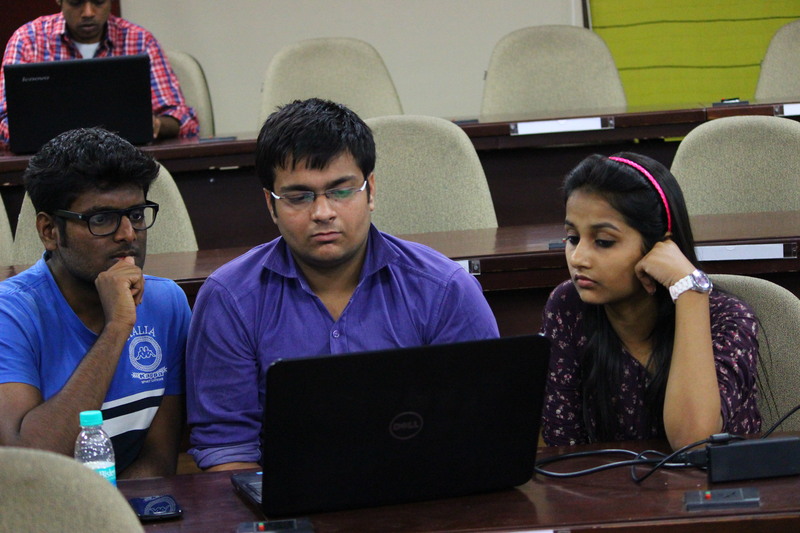 A total of 20 teams participated in the first elimination round where 8 teams had to be shortlisted for the next level of the race. A total of 8 clues were placed in different locations in the campus. The clues are designed to test the most basic of common sense among the participants and a way to figure out the most quirky things about the life in IIMU campus. First set of 8 teams to find out the clues ran in the actual race, the actual mania. 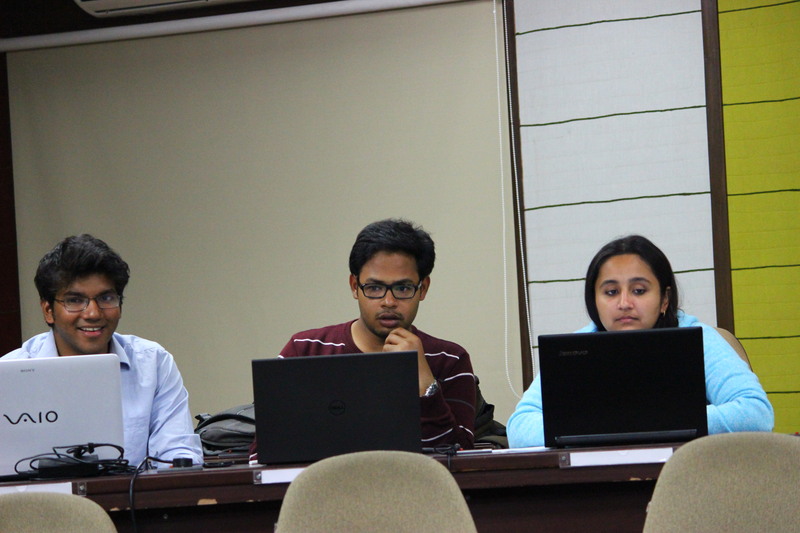 Each team was provided a fixed budget from which they had to figure out all the day’s travelling and other expenses. The fun part is that each clue deciphered the next location and thus tested the real negotiation (read Jugaad) skills to convince the city autorickshaw owners to travel with the participants throughout the city for a day and that too on a meagre budget. The first clue in this race’s edition took the participants to the Royal Cemetery which is a huge structure spread across a large area. The participants had to figure out from the clue to drive towards the next location where a sumptuous portion of Daal Baati awaited them to be finished as a part of the tasks in the race. The Baati’s taste left them with the next clue, a run towards the Dai Mata Ki Baoli. 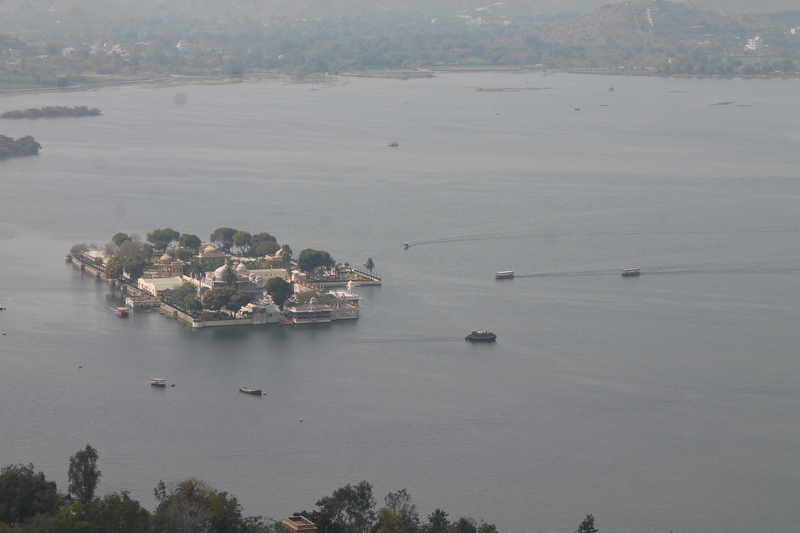 The clue there landed the teams straight into the cold water for three dips in the Pichola Lake at the Ghangour Ghats. The real crazy part began here when all the completely drenched participants had to sell handicrafts to complete strangers on the street. 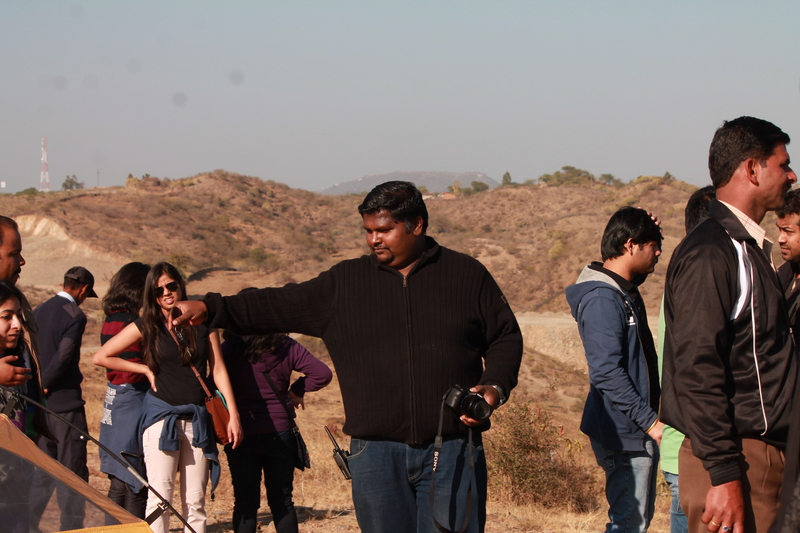 The teams running everywhere took every onlooker to surprise and left most of them querying if a film shooting was in place there. The participants exerted physically by then had to push their stamina beyond limits. 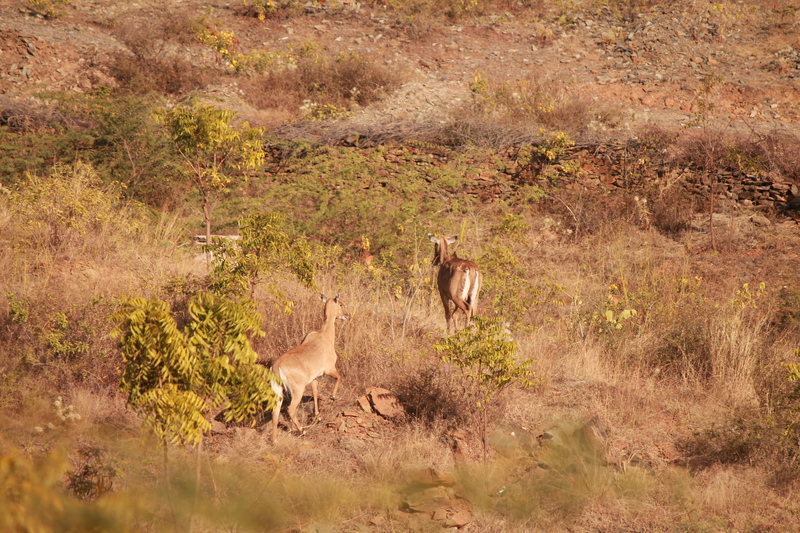 Recollecting the strength, the teams had to trek the hill to reach the Karni Mata Mandir. Some quit and some could not figure out the clues to reach. But the enchanting view from the top of the summit refreshed the complete day’s exhaustion. Then started a run to Shilpgram, The Handicrafts Village where the teams had to complete the tasks of pottery artefacts and garland making. From there began, a cycle race back to the campus. Throughout the event, picture snippets and video clipping of the various participants in various stages of races were tweeted live and trended the Social Media channels of IIMU. Raghuram and Hari Prasad from PGP-1 won the race showcasing brilliant sporting attitude, perseverance and skills. 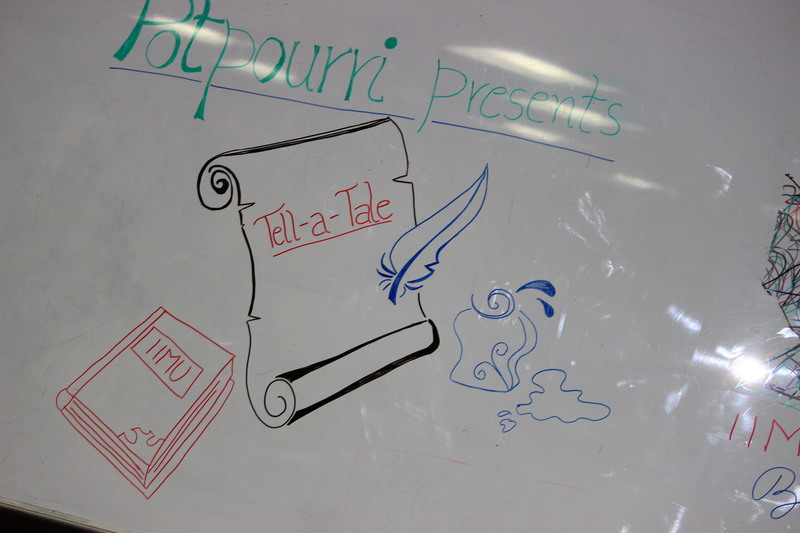 Potpourri ensures with ado to imbibe the flavour of art and culture in every task of its farrago of activities. 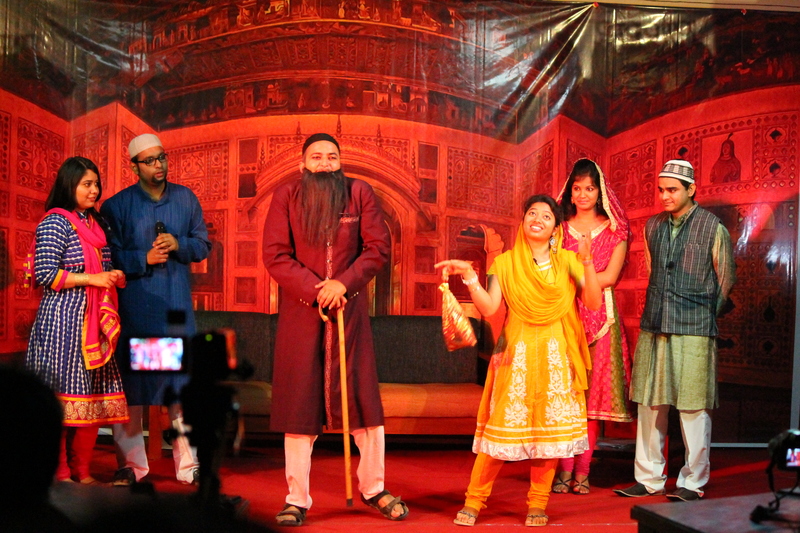 The curtain raiser to the Lit Fest saw an evening filled with a dash of entertainment, drama and humor when the Society of Dramatics collaborated with Potpourri to present a satirical play, Kanjoos – a Hazrat Awara adaptation of a popular French Play by Moliere. 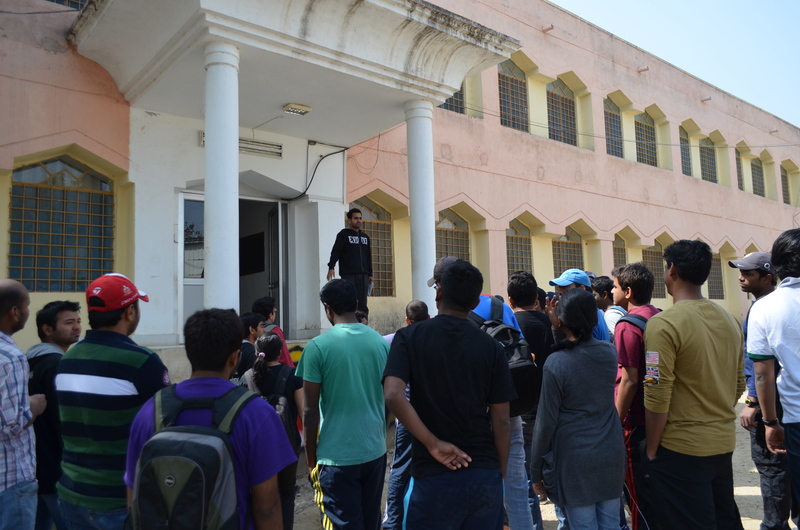 Dramatics fans from Udaipur turned up in the campus for this sumptuous comic appetizer. The visual setting, audience cheering and applauds set the right mood for the Lit Fest. 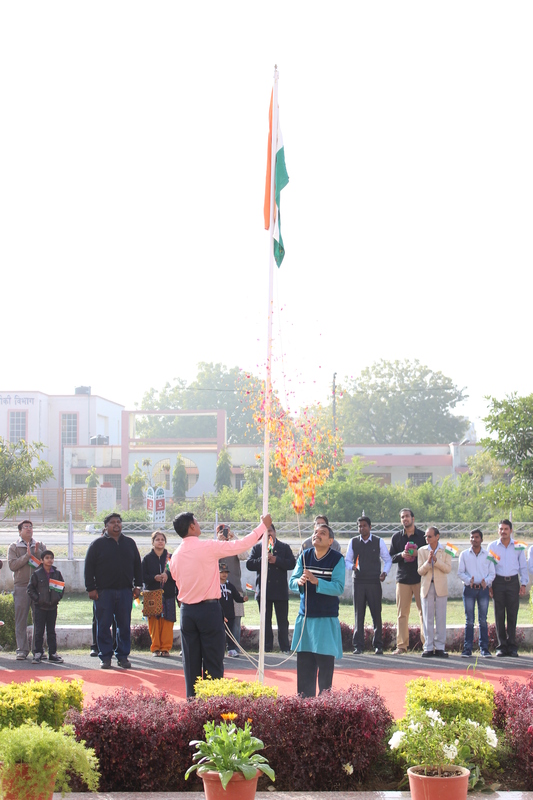 The Lit Fest day began with the lamp lighting by Prof. Janat Shah – Director, IIMU. Light is synonymous with the spreading of knowledge, wisdom and hope. And the enthusiastic students, speakers, faculty comprising prominently Prof. Jagdeep Chhokar, Prof. Vandana Swami, Prof. Thomas Joseph and Prof. N. Vishwanathan along with the audience indulged in talks to exchange experiences and thoughts to assay the notion. For the literary minds, first panel discussion saw Mr. Nikhil Sachan, an IIT-BHU and IIMK alumnus and author of last year’s Hindi bestseller Namak Swadanusar, discussing the issues which young writers face. He also spoke in detail about the publishing industry’s intricacies, falling popularity of Hindi and other regional literature as well as the challenges faced by budding writers. Nikhil also recited some of the poems from his body of work which are close to his heart and through which he connected with young audience. He was accompanied well by the second panelist, Mr. Chetan Mahajan, author of The Bad Boys of Bokaro. 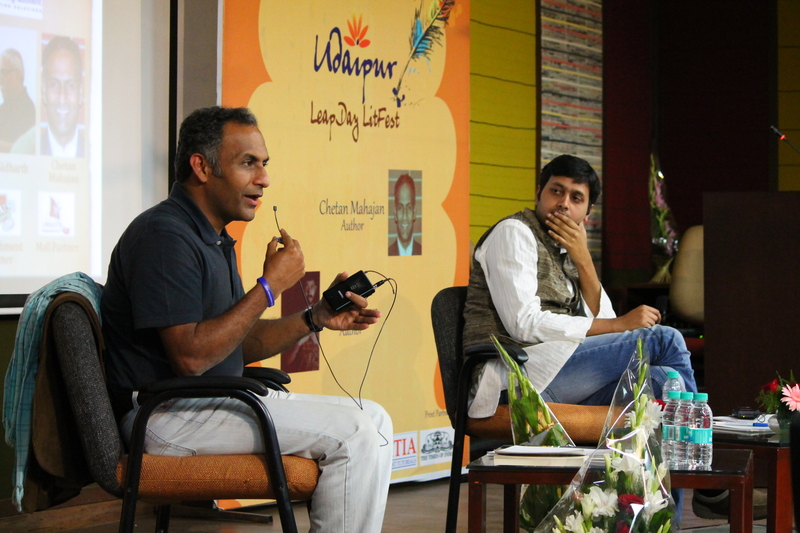 Chetan touched the audience with a sensitive note of his storytelling experiences, narratives which went into shaping his book, social issues and tips for aspiring writers. 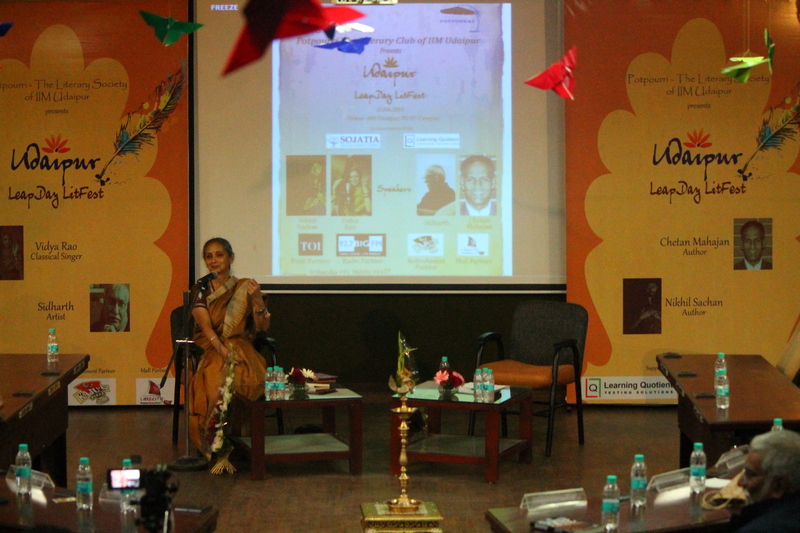 Following the literary discussion, began an hour of Mrs. Vidya Rao, Classical Singer and Editor, speaking from the podium. She mesmerized the audience with her sweet and cherubic renditions of Thumri when her mellifluous voice filled everyone’s hearts in the auditorium. Her journey of evolving as an artist and her views on people, expression, arts, music, dance, love and life left everyone awestruck. 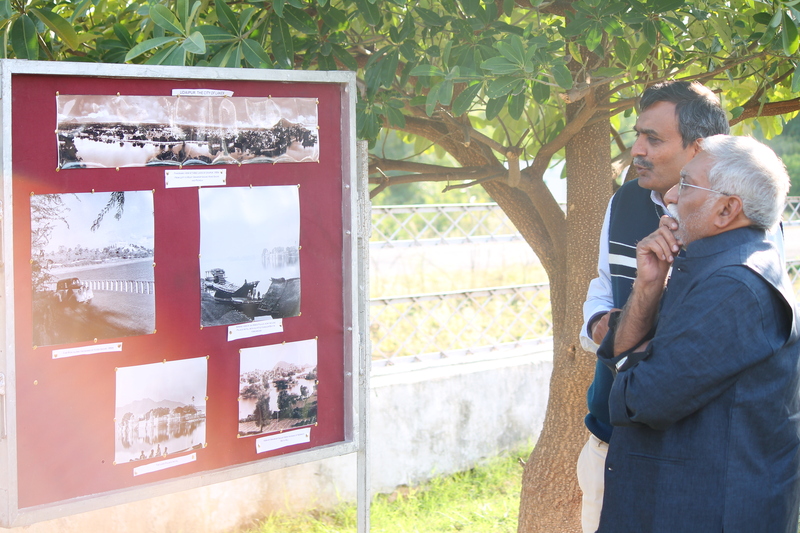 A photography exhibition of Prof. Mahesh Sharma’s collection depicting the various shades of life in Udaipur enthralled the audience. The speakers also distributed books and CDs of their works among the participants. The event culminated with a talk by celebrated Painter and Sculptor, Mr. Sidharth. He shared his experiences as an artist, the power of expression and the spirit of arts as a medium of communication and change. He also painted a portrait of Gautam Buddha in the fest and gifted it to IIMU as a token of souvenir. 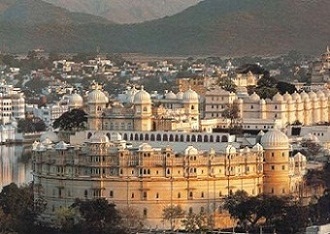 Udaipur Lit Fest is the only Lit Fest conducted in an educational institute in India. 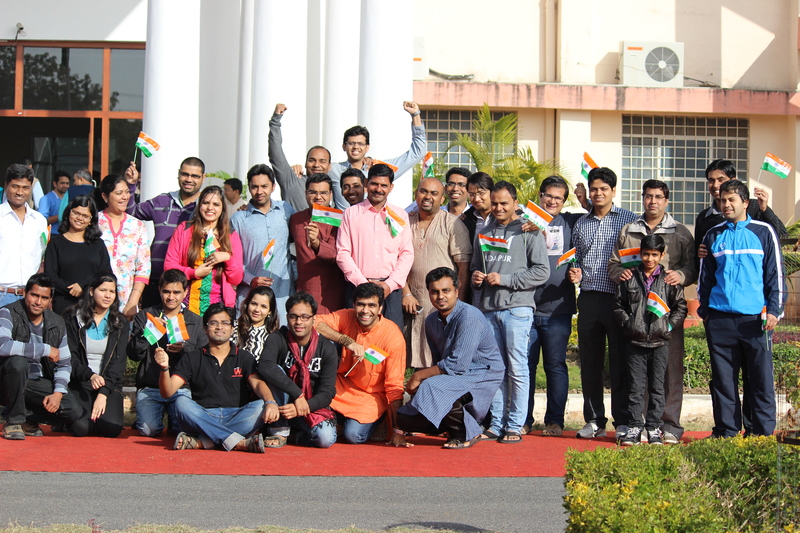 And it conveys the very message of IIMU’s Uniqueness and Diversity with elan. 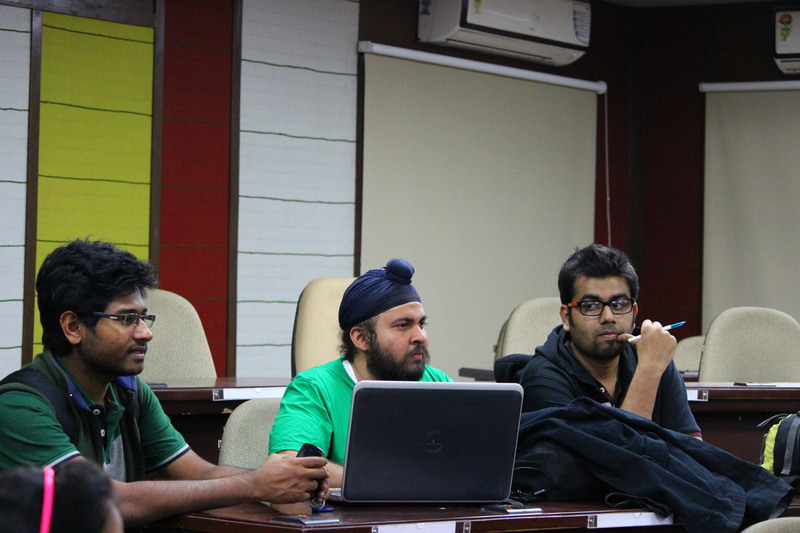 The speakers congratulated the Potpourri team for conducting the event. The event ended on a thanking note to the audience and the sponsors viz., The Times of India, Learning Quotient, Sojatia Classes, Big 92.7 FM, Kaju’s Pizza and Lake City Mall. And the audience left with a promissory word from Potpourri to return next year bigger, better and more opulent. A week in the name of Literature, Arts, Music, Dance and Life. Cheers Potpourri!